Nue ZigBee Colour bulb is a standard ZigBee full colour LED globe. You can remote control the light with a Nue remote controller. Through Nue ZigBee bridge, you can use the smart phone, tablet, smart remote at any time to control the light. With a Nue ZigBee bridge, you can control up to 100 lights in your home or office. Through your smart phone, tablet PC or remote controller to adjust the brightness and light colour you like. 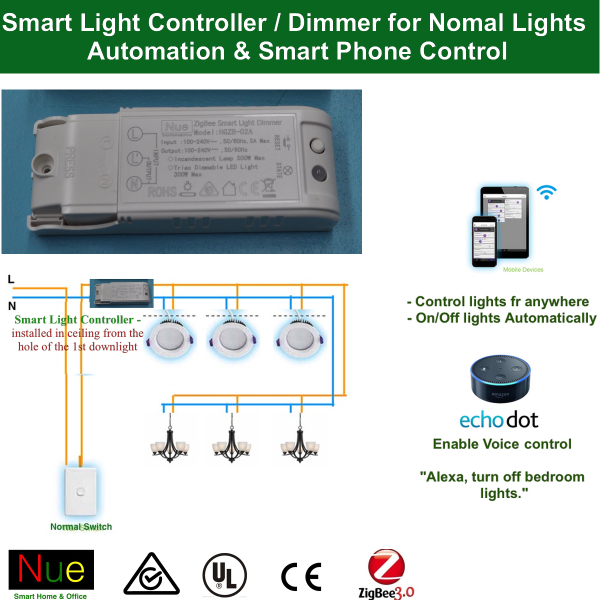 Smart lighting with smart phone, tablet and controller remote control. Can be adjusted to white and full colour lights, up to 16 million colours. No flashing, not hurt the eyes, our smart light bulbs using isolated smart power driver with patented technology. Good heat dissipation and long lifespan (20000H+). Energy efficient. 7W light bulbs can replace the traditional 50W light bulb.